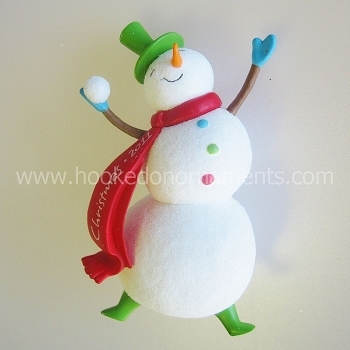 This 2011 Hallmark Keepsake is a repaint of the 2010 Let It Snow ornament. A repaint. A must have. The artist did a good job in choosing the different colors right down to the buttons.